Throw your line out with us as we celebrate Breast Cancer Awareness month. 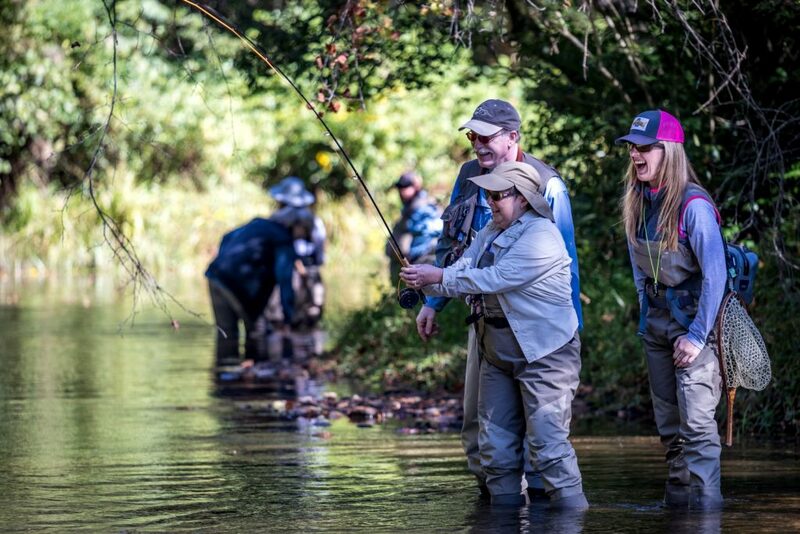 This October, we are partnering with Casting for Recovery, a program that helps women battling breast cancer through fly fishing. Casting for Recovery helps women with breast cancer in multiple ways. Physically, the motions involved in casting a fly rod are similar to the exercises given to women post-operation or post-radiation. Emotionally, Casting for Recovery provides a support group of peers and a retreat from the stresses of daily life. Every Wednesday for the month of October, $1 per pint sold will be donated to the Georgia chapter of Casting for Recovery. In addition, 10% of all qualifying merchandise sales (pink color inspired) will be donated to Casting for Recovery. Drop by the brewery Wednesday, October 18th between 5:30 and 7:30 pm for our Beneficial Brews event with Casting for Recovery. Special partner, Orvis, will be here with a fly casting presentation with our bud Justin Powell.